Imperial Solid Surface is an advanced composite product used as a decorative material in a variety of residential and commercial applications. This composite surface offers durability, practical functionality and design versatility. And because it is supplied in sheets and shapes, Imperial solid surfaces can be fabricated with conventional woodworking tools into virtually any design. Easy maintenance – They are easy to clean and don’t require any special cleaning products. Non-porous – You don’t need to worry about bacteria growing on them either; solid surface countertops are non-porous so they will not harbor bacteria. Durable – It is very durable. Stronger than stone even. Inconspicuous seams – This feature of this material makes it easy to be fabricated. What are solid surfaces countertops made of? The material is a combination of acrylics or polyester resins along with an inert filler material. 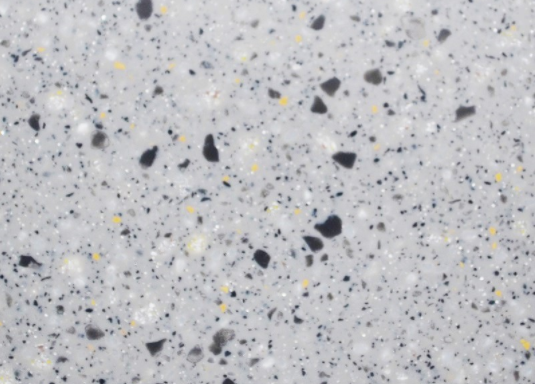 Consumers looking for the most creative design options from a long-lasting countertop surface look to the half-inch thick, 100% acrylic/acrylic blend. The reason these types of countertops are so popular is that they are easily installed and repaired, but they are also a great complement to any room in the home. What is the daily care and maintenance for my Imperial Solid Surface? What do I clean basic stains with? Is it true that darker color needs more attention than lighter color? Yes. Darker color tend to require more attention that lighter colors. Scrubbing too aggressively may actually reduce the gloss level. What kind of finish is available for Imperial? Gloss finish, Matte Finish and Satin Finish. Any Questions On Imperial Solid Surface? Feel free to talk to us anytime if you have any questions regarding our Imperial Solid Surface products. We also provide installation for kitchen cabinet countertop, worktop for solid surface, granite, quartz and definitely marble.